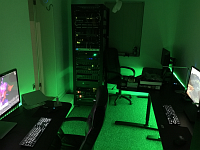 I tend to do most of my development and creative work in the development office, where I've installed my computer systems, desks and server hardware. 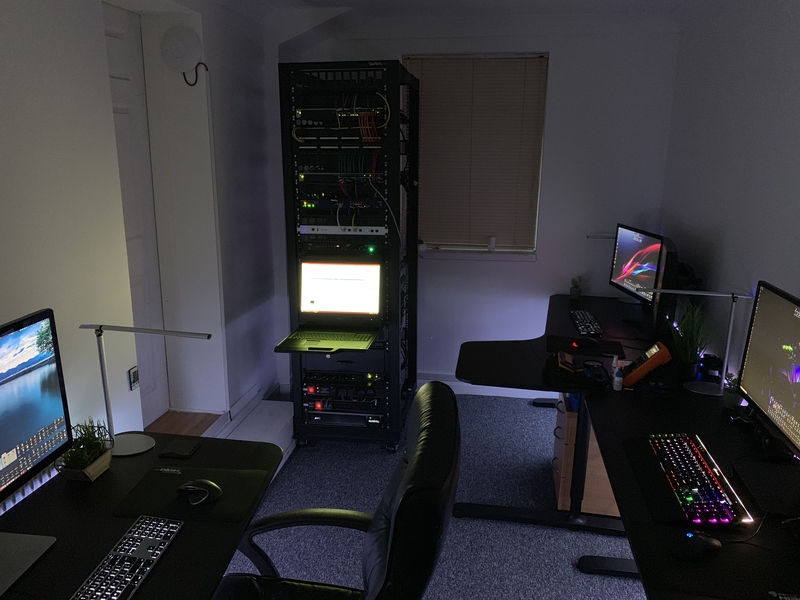 I have three workstations; the main development Core i7 4770K Windows PC, the Mac Pro, and an administration and CCTV monitoring workstation (now the Celeron E3300 Windows PC). The 42U rack server is also located here. 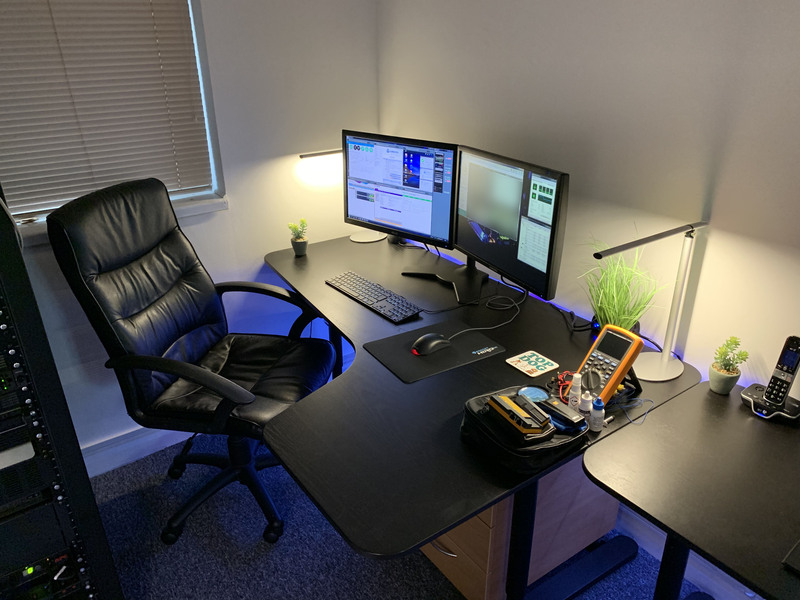 The office involved some DIY work including a full repaint and furnishing with carpet tiles throughout. 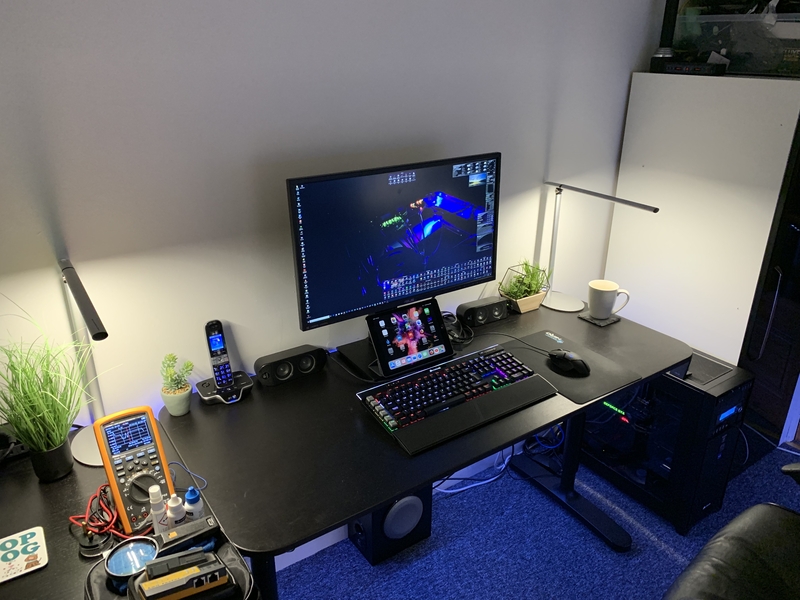 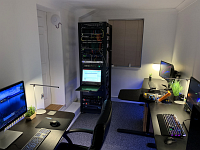 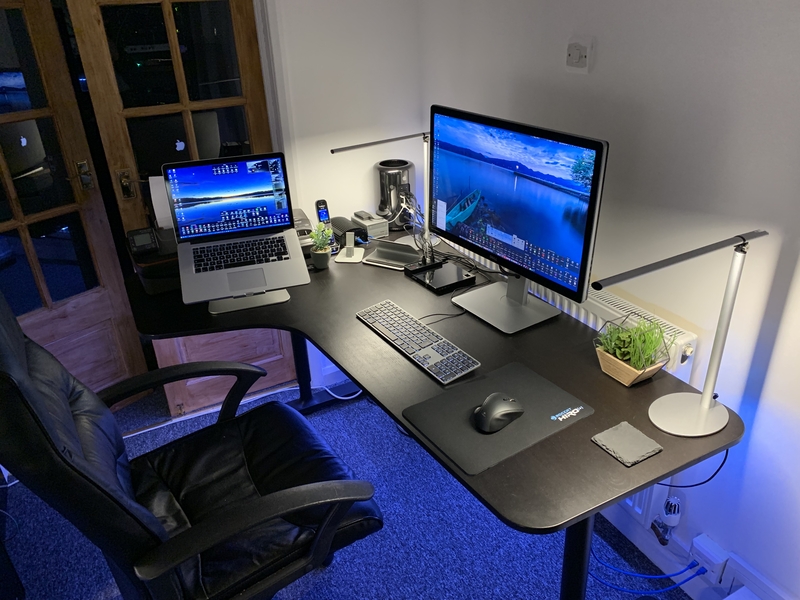 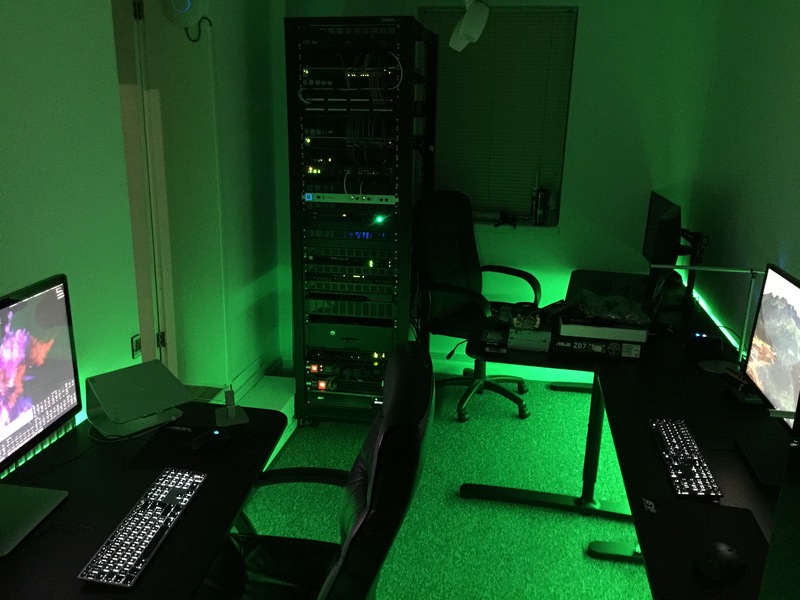 The desks are from the IKEA Bekant range, with LED desklights, and under-desk multi-colour LED light strips operated via a wall-mounted IR remote control. Dual conduits have been fitted flush against the walls and around obstacles above the skirting boards, and these carry Cat 6A ethernet cables running at 1Gbps and 10Gbps, and also UPS backed power cables. 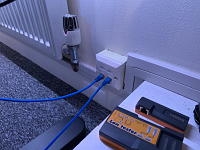 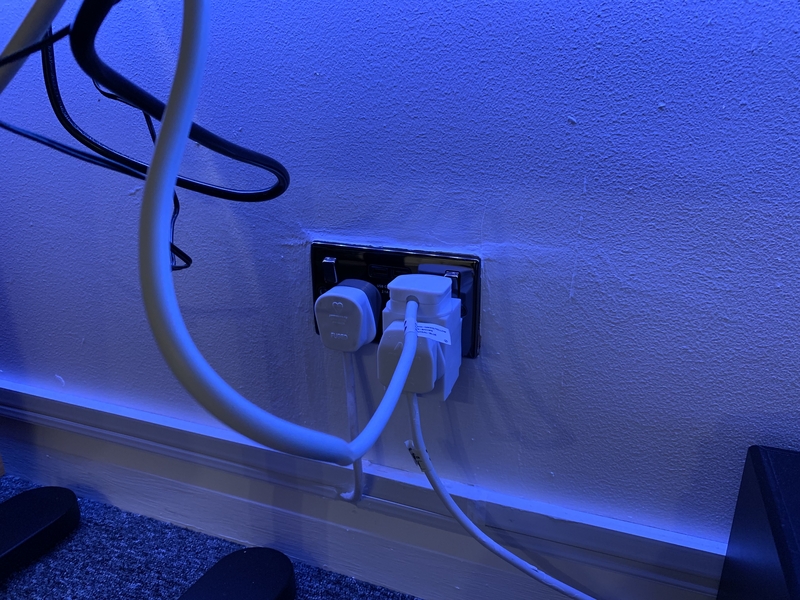 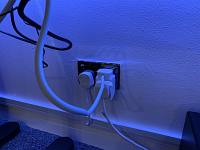 RJ-45 wall-mount sockets have also been fitted, and power sockets on the ring main have been upgraded with units featuring USB charging ports.